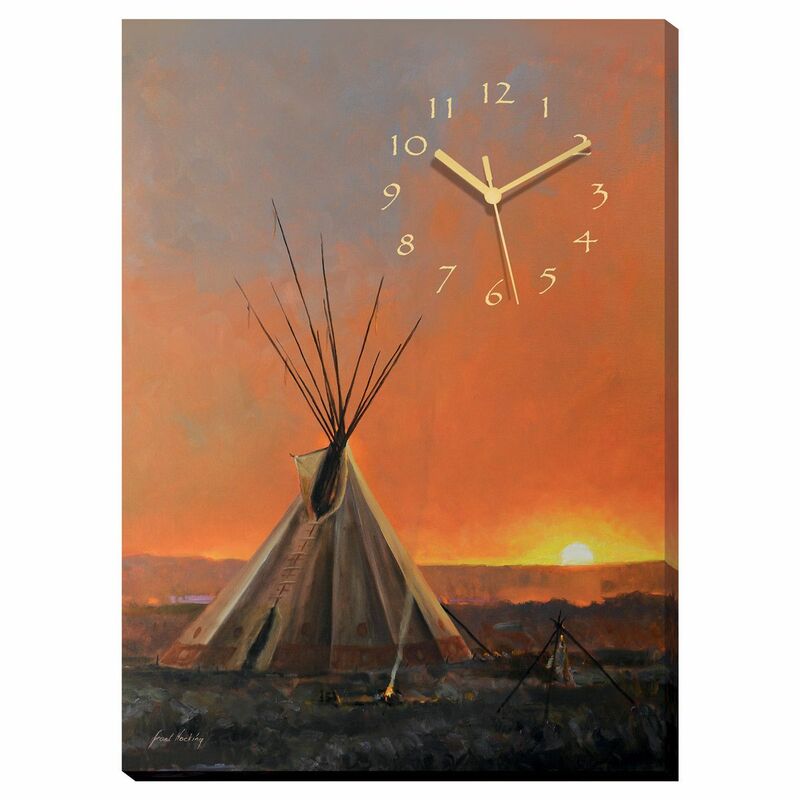 This wrapped canvas clock brings an inspiring desert sunset scene to your wall. Precision quartz movement. Uses one AA battery (not included). 13"W x 18"H. Allow 1 to 2 weeks.